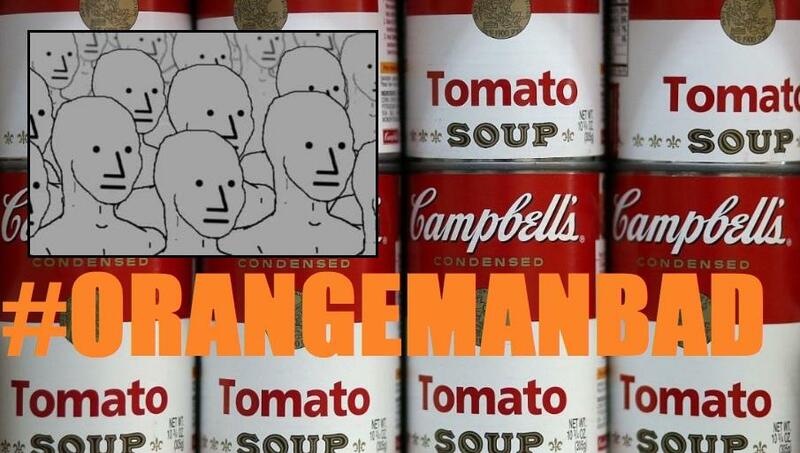 A Vice President at iconic soup company Campbell called out liberal billionaire George Soros for funding and encouraging the migrant caravan from Honduras. Left-wing media outlets didn't know how to handle the statement from the Vice President of Government Affairs Kelly Johnston and defaulted to labeling him a "conspiracy theorist." That always works right? When you can't consider the possibility, just discredit them with claims of conspiracy theories or sexual assaults, even if they were nearly half a century ago. Johnston suggested that Soros' Open Society Foundation not only planned but orchestrated the caravan which has swelled to at least 5,000 future criminals. The caravan is making its way from Central America to the U.S. on foot after overwhelming Mexican authorities at the Mexico/Honduras border. He also claimed that the foundation has an "army of American immigration lawyers waiting at the border." Johnston took to Twitter saying, "See those vans on the right? What you don't see are the troop carriers and the rail cars taking them north. @OpenSociety planned and is executing this, including where they defecate. And they have an army of American immigration lawyers waiting at the border." The man was inundated with hateful tweets and subsequently closed his Twitter account. His original tweet can only be viewed now by those who screenshot it so they could express their moral outrage. How dare a person with an influential role at a major company to have a political opinion that the NPCs disagree with? The next step in the Antifa/far-left playbook is to call Johnston a Nazi and get him fired as VP at Campbell Soup. President Trump says it has been Democratic policies and the flow of illegal immigrants coming into the U.S. Too bad Johnston folded under pressure and deleted his social media account. Maybe it wasn't the smartest move to tweet politics from an company account. A representative for Campbell Soup said, "The opinions Mr. Johnston expresses on Twitter are his individual views and do not represent the position of Campbell Soup Company." Who could have guessed that would have been their response? How much do you want to bet their next move will be to fire Johnston? Soros is a far-left liberal billionaire who funds Democrats and left-wing organizations. He has been accused of funding protests and other social justice events, so being accused of being behind the migrant caravan is on par. Soros recently experience a bomb scare. His compound's security staff were able to determine the device contained explosive powder and called federal authorities who did a controlled detonation that rendered the device inert. It is unclear why Soros' household staff was opening his mail on the street in front of his mansion. Johnston has been with Campbell Soup since 2002, nearly two decades and has also held several positions within the Republican Party. He previously served as a secretary of state under the Senate Majority Leader Robert Dole during his previous tenure. When will companies realize that keeping their political views separate from their jobs is a must? You can't be venting about your political views on social media when you're the VP of a publicly traded company without expecting some massive repercussions from the far-left NPC mobs. Only Elon Musk can get away with that these days.